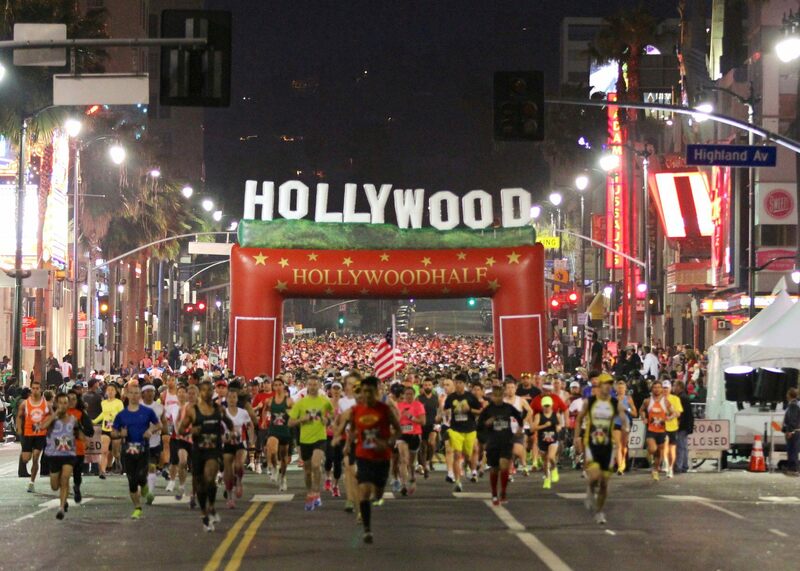 Run down the World Famous Hollywood Walk of Fame with fans and spectators cheering you on! The race starts in front of Dolby Theatre, home of the Academy Awards. Earn your Star Award upon crossing the red carpet finish line to complete your running tour of the Entertainment Capital of the World!The Half Marathon is LIMITED to 7,500 participants and guaranteed to sell out, so don’t delay. 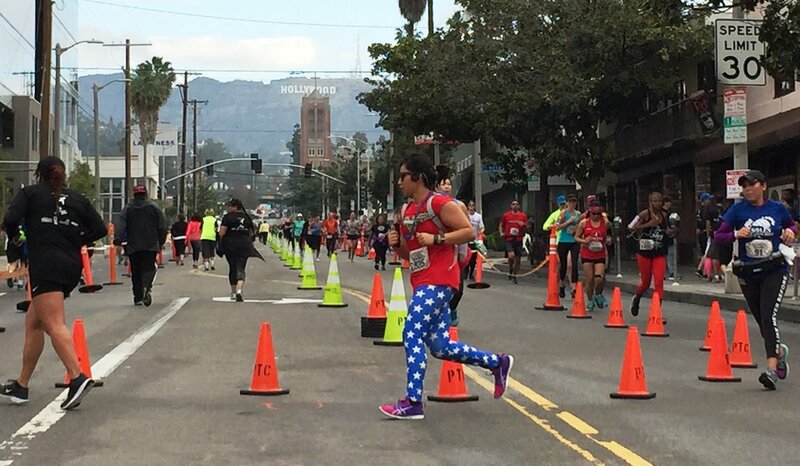 The 5K or 10K course takes you on a running tour through heart of Hollywood. There is also the Star Kids Fun Run. This exciting half mile kids fun run will take your little stars along the World Famous Walk of Fame. It starts at the main event finish line at Hollywood andVine and follows an out and backcourse. The course is intended for children3-10 and will besupported byvolunteers who will cheer and help direct the children. When will registration for 2019 open? Can I be notified? How do I register? 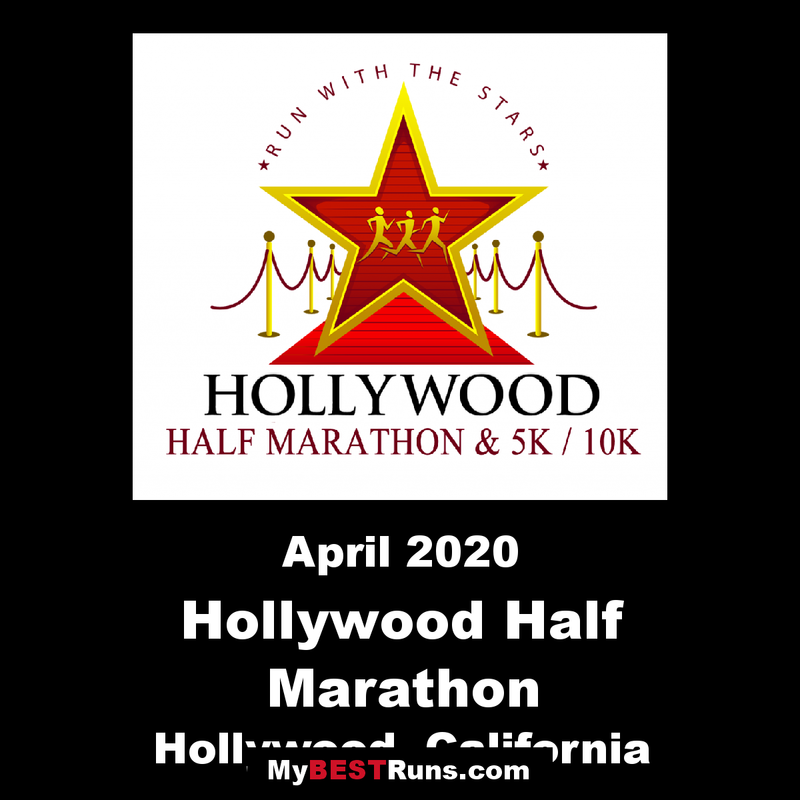 I would like to be notified when registration opens for the Hollywood Half Marathon 2019. Thank you! Long, straightaway stretches along both Hollywood Boulevard and the legendary Sunset Boulevard await the estimated 5,000 or so runners expected to hit the streets at the Hollywood Half Marathon, 10K and 5K, which makes its 7th annual running this year. For much of the race, runners will quite literally be following the path of the Hollywood Walk of Fame, where more than 2,000 of the film industry’s most beloved actors, directors, writers and producers are immortalized along 15 blocks of Hollywood Boulevard and portions of Vine Street nearby. In between the starting and finish lines, runners will head through the heart of the theme park and onto Universal Studios Boulevard, where they’ll cross over the bridge that spans the Hollywood Freeway (Highway 101) and turn right onto Cahuenga. Once there, the course then heads south roughly parallel to the Hollywood Freeway, all the way down for the next three miles into Hollywood, where runners will make their next right onto Hollywood Boulevard. It’s through here that runners will get the best views of the real downtown Hollywood, passing by theaters and shops on their way around Orange Grove Avenue and onto Sunset Boulevard. Once they’ve made the left turn onto Sunset, runners then head east for the next 3 1/2 miles, all the way to Normandie Avenue. At Normandie, the course makes another left, and then turns again fairly quickly back onto Hollywood Boulevard, bringing runners through Hollywood & Vine and the stars along the Hollywood Walk of Fame before turning back onto Highland Avenue for the return route back toward the freeway. Between about mile markers 3 through 10, the course is mostly flat and fast (and run on paved roads throughout); the race’s only hills occur at the start of the race, with the downhill stretch along Cahuenga Boulevard, and then again in the final couple of miles of the race as runners are making their way back north along Cahuenga toward the finish line. Runners are welcome to run the race either in standard running gear or (even better) to dress up as their favorite celebrity. Following the race finish, limousine bus shuttles will be available to ferry runners to the post-race awards and medal ceremony, which will also feature a “red carpet” style awards. Hollywood Blvd between Highland & Sycamore. Vine Street between Hollywood Blvd & Sunset Blvd.